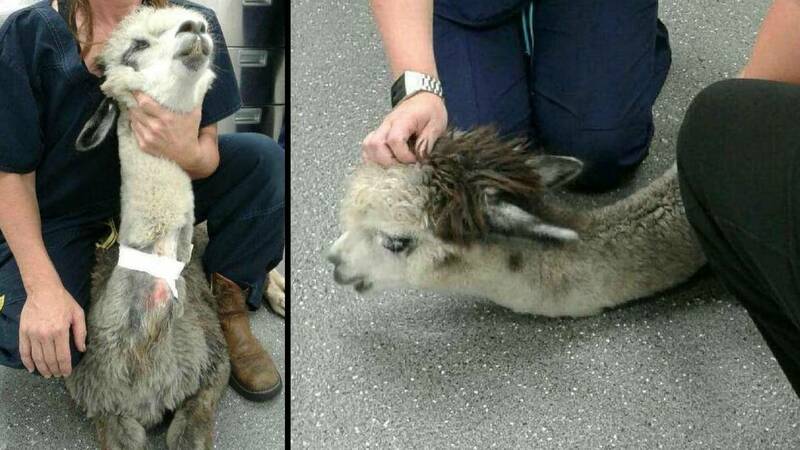 Creekside Animal Hospital, Middelburg, Fla.
MIDDLEBURG, Fla. - The Creekside Animal Hospital in Clay County released a statement that their youngest alpaca died on Sunday of endotoxemia after a man dumped harmful food on their property. The staff at The Animal Hospital said a man in a blue car was dumping food in the field the Alpacas graze in. “He dumped three boxes of animal crackers, one large bag of Doritos, two large boxes of cheese nips and two bags of whole peanuts. We know this because he leaves the litter behind every single time and we clean it up,” The Animal Hospital said. They believe the little alpaca overindulged on peanuts dropped by the man and got severely sick. The veterinarians tried to assure the community that they did their best to save the animal. The Animal Hospital says the alpacas are fed peanut hay every day, but this time it led to a condition that could not be treated. Pain medication was given, but there was nothing they could do according to the Animal Hospital's post. The announcement was posted on Facebook hoping to relieve visitors who may notice the young alpaca missing. Many visitors come to feed the herds at the Creekside Animal Hospital. But now the staff feels like they have to make an extra effort to keep the animals safe. The Animal Hospital replied to a comment made by one of their Facebook followers saying they are “upping the patrolling”. They don’t want to relocate the herd because many of the females are pregnant and the animals love the interactions with the children who hand fed them carrots and apples. They are asking for help identifying the person in the blue car who has been dumping in the field. The animal hospital says he is a repeat-offender. In fact, they say they’ve spoken to him at least four times – each time about dropping harmful food in the field where the animals live. We’re working to know what happens next.